When Does the Mortgage Debt Relief Act end? Will I owe taxes on my short sale? Mortgage Debt Relief Act 2007 sunsets soon. Is there Tax due after a short sale? Mortgage Debt Tax Relief To Sunset? When does the Short Sale Seller’s Tax Break End? Troubled Sacramento homeowners who’s short sale closes after Dec.31, 2013 will still get a break from their mortgage lenders, but could face a hefty tax bill next year after key provision that expires at the end of the year. 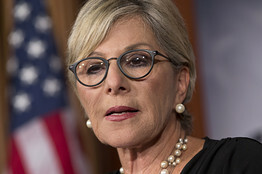 Homeowners who live in California states, like California, where mortgages are non-recourse—that is, where they aren’t personally liable for the unpaid balance—may avoid the potential tax hit even if Congress doesn’t act, according to a letter sent by the Internal Revenue Service released by Sen. Barbara Boxer (D., Calif.) on Friday. So it is just too early to tell if there will actually be a California Short Sale Tax. The Mortgage Debt Relief Act of 2007 currently allows some homeowners Facing foreclosure void paying taxes on certain relief that they receive on their mortgages. The IRS considers debt forgiveness to be a form of taxable income! And that means. Certified Sacramento Short Sale Specialist Forth Hoyt reminds homeowners There is still time to do a short sale, which may include a Sacramento area Short Sale relocation assistance or Short Sale incentive from $3,000 to as high as $45,000, depending on their lender, loan amount and individual situation. More Questions About HAFA, HAFA Short Sale or Sacramento HAFA Short Sale Relocation Assistance? Contact us Today At Forth Hoyt’s Sacramento Short Sale Center to learn about how and when the Short Sale Seller’s Tax Break Ends. This entry was posted on Tuesday, November 19th, 2013 at 4:04 pm	and is filed under Avoid Foreclosure in Sacramento, California Foreclosure Law, Sacramento Short Sale and Sacramento Foreclosure News, Short Sale FAQ's. You can follow any responses to this entry through the RSS 2.0 feed. Both comments and pings are currently closed.